Portugal fans may well see a decent game but they won't be seeing Cristiano Ronaldo. 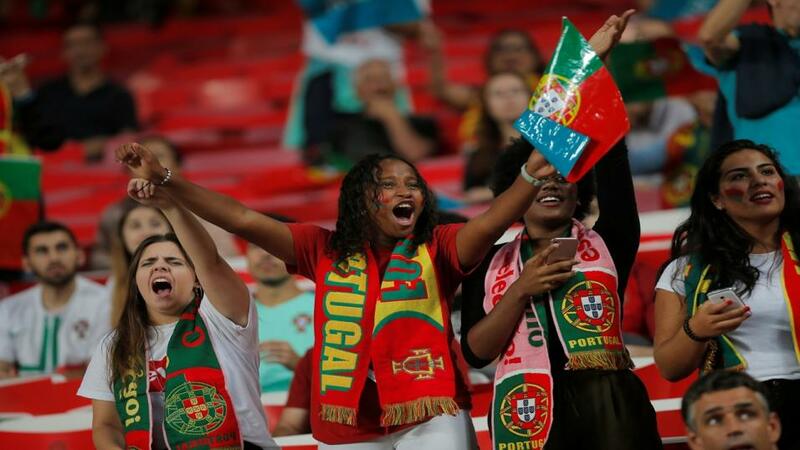 Portugal play their first-ever Nations League match at home to Italy at the Estadio da Luz in Lisbon and 1-1 looks very much a possibility, says Jamie Pacheco. "But if you’re going to go with the draw you might as well go with 1-1 at 5/1 than the all-encompassing stalemate. Not only did both teams share that scoreline over the past few days but it’s also one that has popped up in three of Italy’s last five games." After a mediocre World Cup showing, it's pretty clear what Portugal's policy is for the Nations League. They'll pick some of their best players- Rui Patricio, Pepe, William Carvalho, Bernardo Silva all played in that 1-1 draw against Croatia on Thursday and should feature again on Monday - and give chances to a few others who haven't played so much recently. Benfica's Pizzi and Leipzig's winger Bruma, who missed out on World Cup selection but could feature against Italy, are two examples of that. The biggest indication that the Nations League isn't top priority is the fact that Cristiano Ronaldo wasn't selected for the friendly against Croatia and this match as he adjusts to life at Juventus. When the serious business of Euro 2020 qualification comes around he'll surely be recalled alongside the likes of Joao Mario, Joao Moutinho and Bruno Alves. Still, there's nothing wrong with preparing for life after Ronaldo and it's not a bad squad that's available coming into this game. Italy drew 1-1 with Poland on Friday night. They had Chelsea midfielder Jorginho to thank for salvaging a draw with a 78th minute strike from the spot. Despite the international retirement of Gigi Buffon, their defence, as ever, looks strong. Gianluigi Donnarumma played in that one but Cagliari's Alessio Cragno may get a game in goal here. Leonardo Bonucci, Giorgio Chielini and Davide Zappacosta are other familiar names in that four-man backline. Roberto Mancini also has plenty of options upfront. Any one of Andrea Bellotti, Ciro Immobile, Lorenzo Insigne and Mario Balotelli are very capable on their day. Balotelli arguably played the best football of his career under Mancini. Portugal look short at 13/10 to win this for a number of reasons. The absence of Ronaldo and a couple of other old heads, is one. As is their poor record against Italy with just one win in their last 12 against them. Ten of those were wins for Italy with just the one draw so it's pretty clear the Azzurri have had their number over the years. Although interestingly, that one win for Portugal was the last time they played; a 1-0 victory with Euro 2016 hero Eder getting the solitary goal on neutral soil, in Switzerland back in 2015. The draw at 9/4 looks the way to go if you're going to play this market, though given their record in the fixture, you could argue it's Italy who are the value at 11/5/ Either way, the hosts are certainly the one option to avoid. But if you're going to go with the draw you might as well go with 1-1 at 5/1 than the all-encompassing stalemate. Not only did both teams share that scoreline over the past few days but it's also one that has popped up in three of Italy's last five games. Given England and the Netherlands are of a similar standard to Portugal, it could very well go that way. Portugal have had plenty of trouble keeping clean sheets of late. It's just three from their last 11. And they've also developed a bad habit of putting themselves into a position of chasing the game far too often. That happened again on Thursday night, with Ivan Perisic scoring after just 18 minutes before Pepe hit back to level the game. Italy may not go on to win the game and it may not end 1-1 but they're a good price at 13/10 to strike first. Remarkably for a centre-back, Pepe has scored Portugal's last two goals. That one on Friday and in that 2-1 loss to Uruguay at the World Cup. But that shouldn't come as a huge surprise; those were his sixth and seven goals for is country to go with his 26 at club level. He's now on exactly 100 caps. He's 9/1 to make it eight goals for Portugal. It's anyone's guess who will play upfront for Italy so it would be silly to take a punt before knowing the team-sheet. But Italy have their own goalscorers in defence. Leo Bonucci has six from 81 games and Chellini has eight from 97. It's 14/1 the pair to get a goal here and you cold do worse than split your stakes between both players.